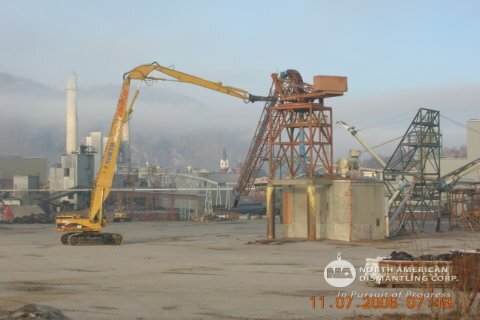 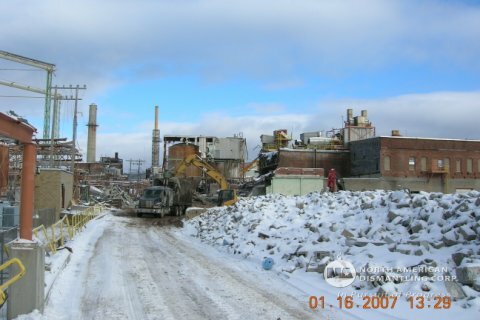 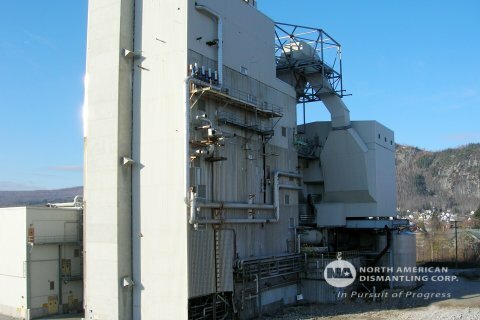 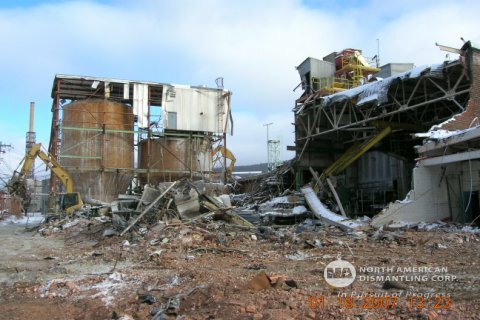 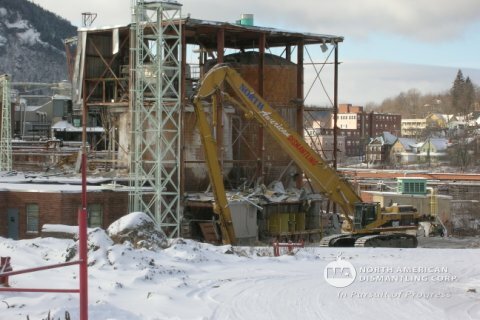 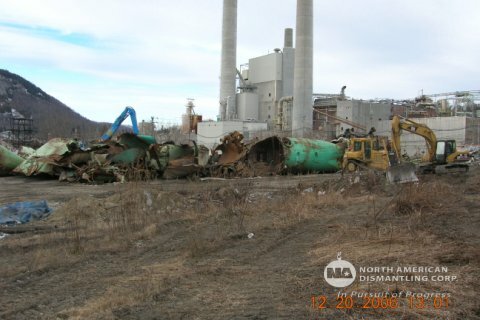 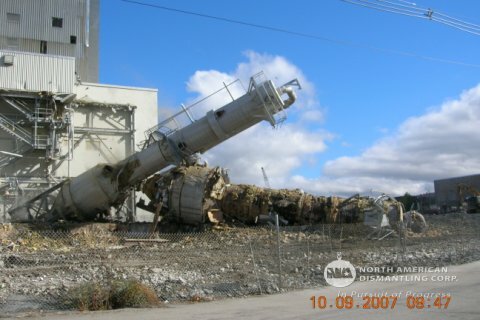 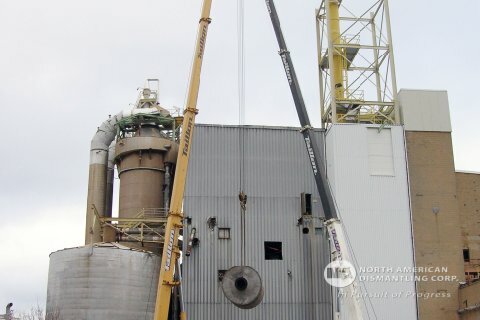 Fraser Pulp Mill Demolition | North American Dismantling Corp. 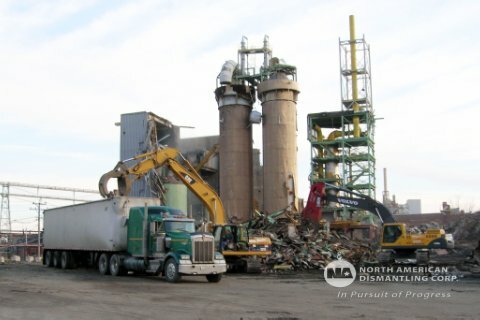 Owner: North American Dismantling Corp. 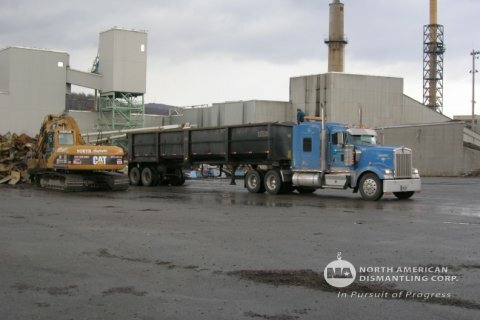 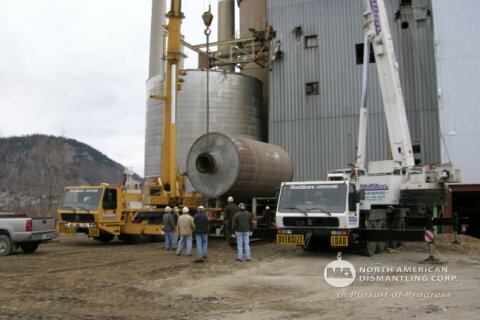 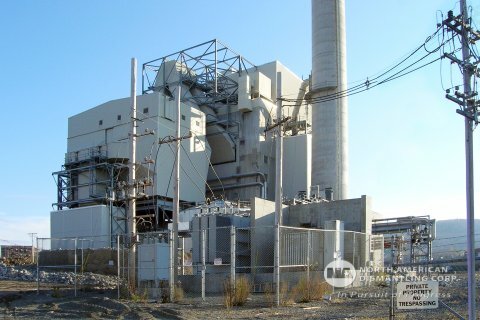 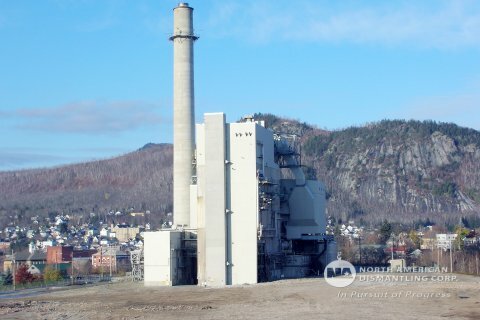 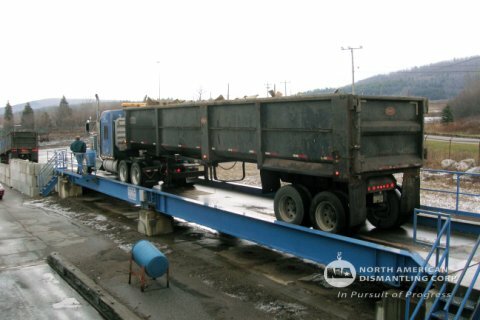 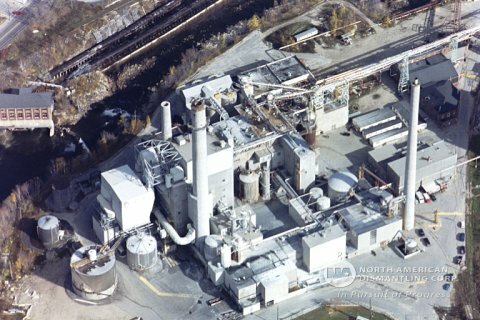 The project in Berlin, New Hampshire consists of the dismantling of an existing paper pulp mill composed of 85 separate structures totaling 600,000 square feet located over 120 acres. 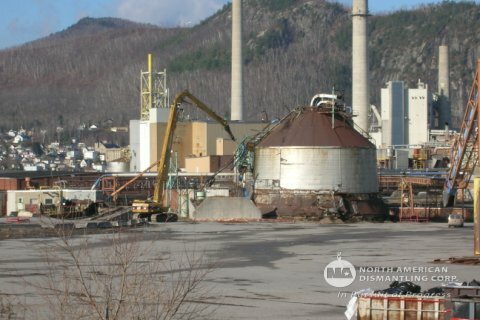 Included in the project is the remediation of various universal wastes including CFC, mercury, solvents, black, white and green liquor. 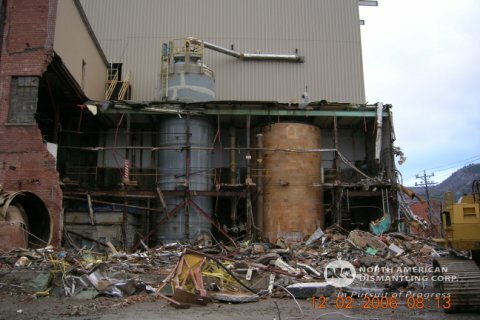 Additionally North American Dismantling is to remediate 36 transformers (17 Non PCB and 19 PCB contaminated) and complete over $1,000,000.00 in asbestos abatement. 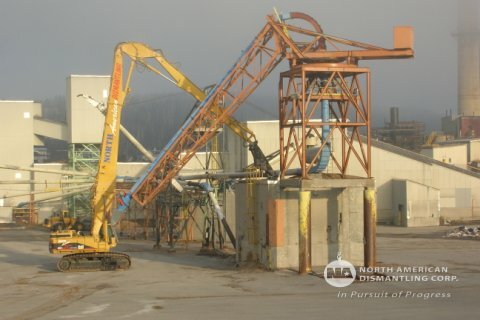 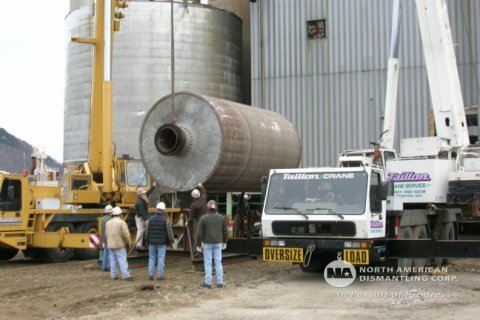 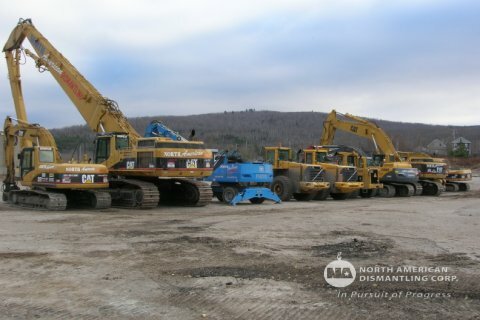 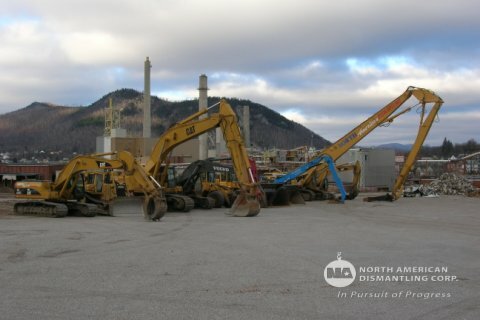 North American Dismantling was instrumental in the marketing and sales of over $10,000,000.00 in reusable equipment. 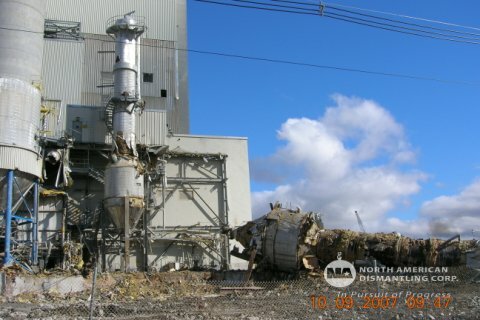 on your power plant demolition project. 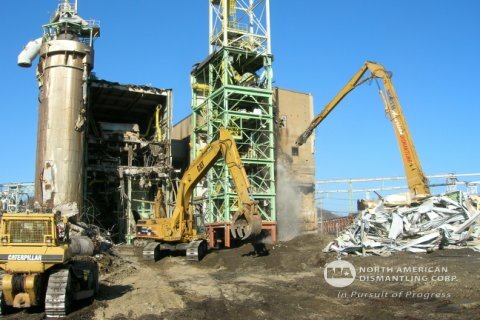 Demolition, remediation, asbestos abatement, brownfield services. 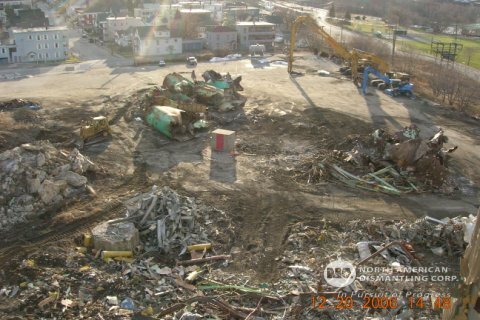 Before site demolition, remediation, asbestos abatement, brownfield services.